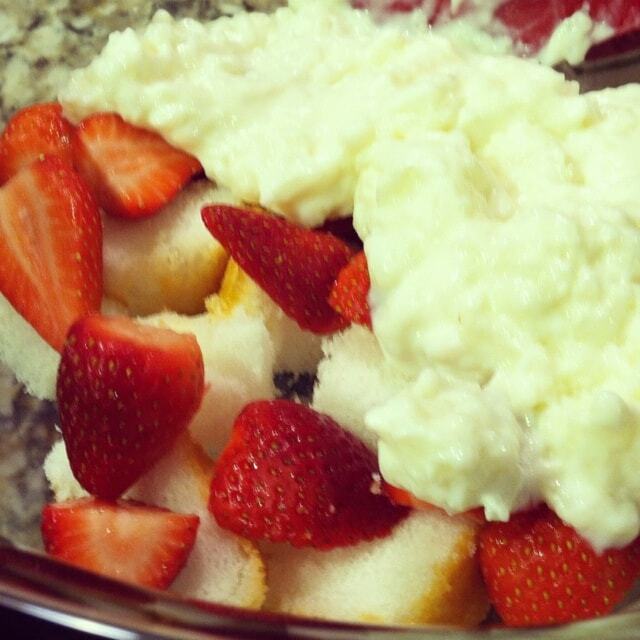 Buy yourself an already made Angel Food Cake. 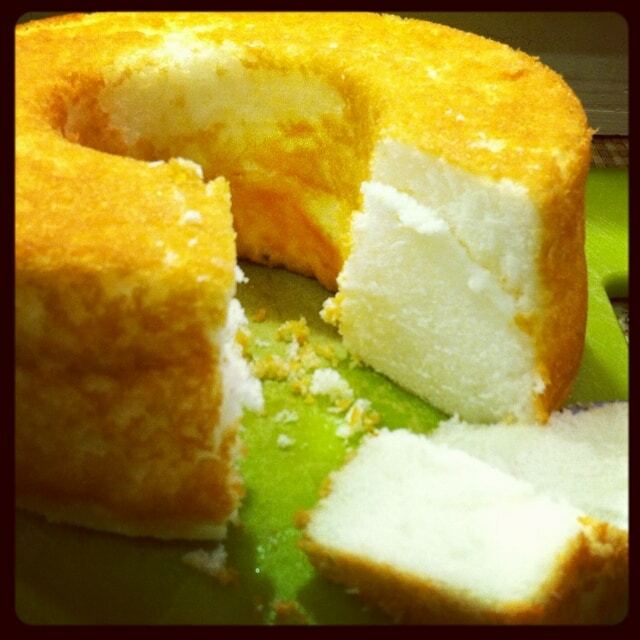 You can also do this with pound cake. Or if you are feeling CRAZY – make one of your own. Cut it up into little squares. Chop up 3 boxes of your strawberries. Then start to layer. 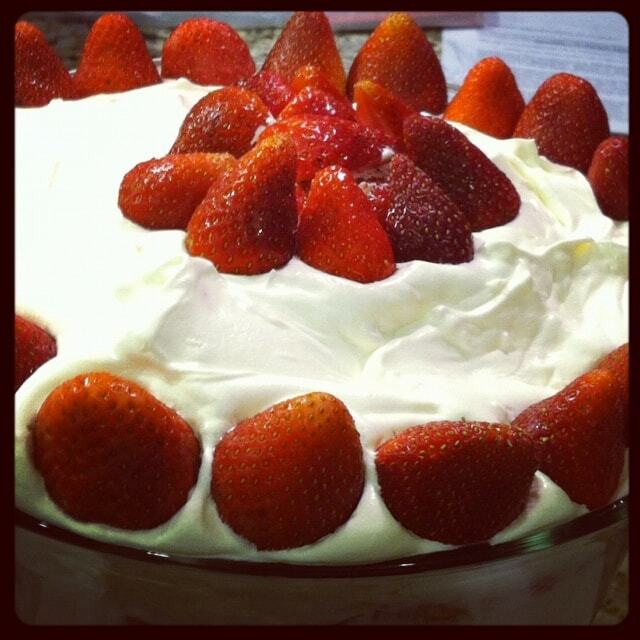 Cake, Strawberries, Kozy Shack, Cool Whip – or however you’d like. REPEAT until you dish is full. GO LIGHT ON THE COOL WHIP. 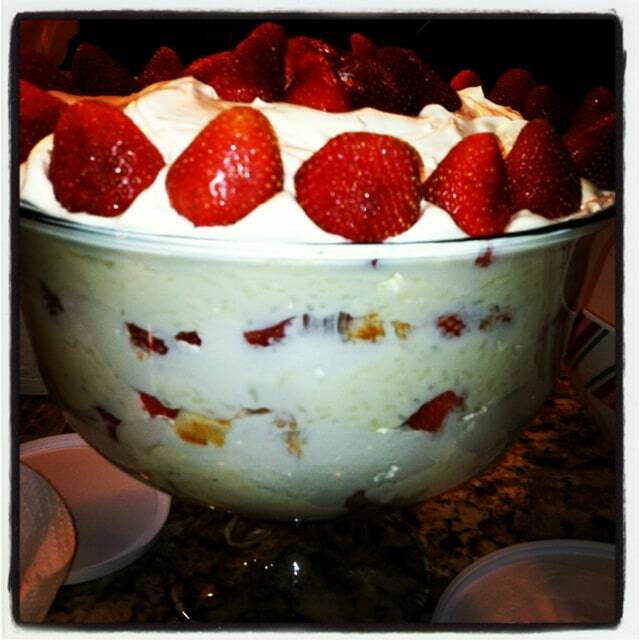 I think I put a little too much last night and wished I put more rice pudding. Cut the greens off of your last box of strawberries and place around top. 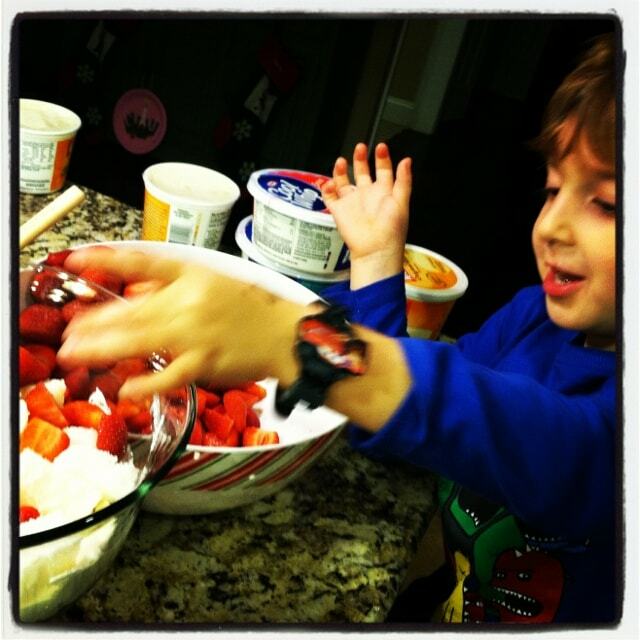 Want to see more of my recipes? Click here.